Whether you are looking for a boutique shopping experience by the water, a village atmosphere with individual outlets offering something unique, or a dedicated undercover shopping centre, Coffs Harbour has it all. There's something for everyone from the high street mall to the local farmers' and artisan markets. Coffs Central and the Coffs Harbour City Centre mainstreet. 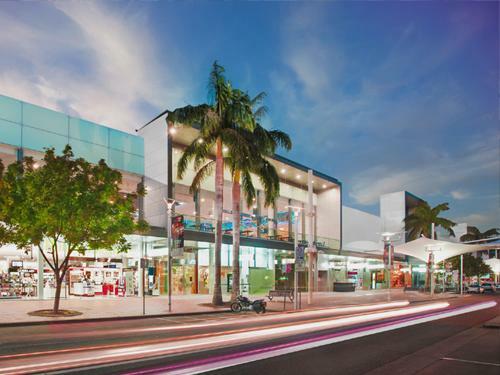 On Harbour Drive you'll find Coffs Central with supermarkets, specialty stores, and the landscaped City Square for coffee and meals. On the Pacific Highway at the north edge of the city, the Plaza has big name stores and over 120 specialty shops, and is open 7 days a week. Just opposite Park Beach Plaza is the Home Centre, with everything you need to fit out, furnish and decorate your castle. Near the harbour is the Promenade with designer outlets and restaurants overlooking pretty Coffs Creek. Just 5 minutes North of Sapphire Beach, Moonee Marketplace offers a diverse variety of specialty stores, and is open seven days. Sawtell village south of Coffs Harbour has beautiful boutique stores. Bellingen village offers quaint, arty and quirky shopping. Coffs Harbour is renowned for its markets, including the Growers Markets, Jetty Markets, Twilight Markets and Uptown Markets, as well as the Car Markets, the Made With Love Markets, the Bollywood Markets and more. On Thursdays, the Coffs Coast Growers Markets is a great place to stock up on fresh fruit and vegetables, smoked specialty meats, herbs, nuts, spring water, organic hearth fired breads and food seasonings. 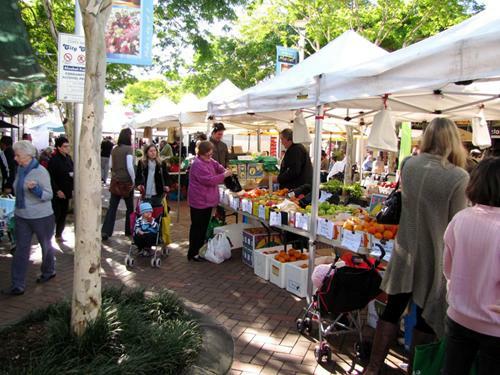 Markets are also held in the towns of Glenreagh, Woolgoolga, Sawtell, Bellingen and Dorrigo. - The Dorrigo Markets, on the first Saturday of the month, are known for arts, craft and fresh local produce. - Bellingen Community Markets, on the third Saturday of the month, are one of the largest regional markets in Australia with 250 stalls, children s activities, live music and camel rides. - Every other Saturday the Bellingen Growers Markets feature a wide range of organic and locally grown foods.